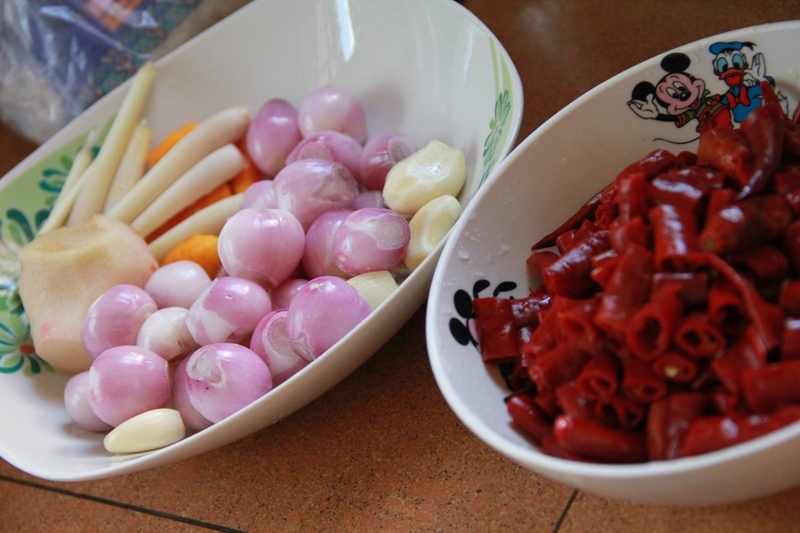 Ingredient A: shallots, garlic, lemon grass, ‘lengkuas‘, tumeric, dried chili. 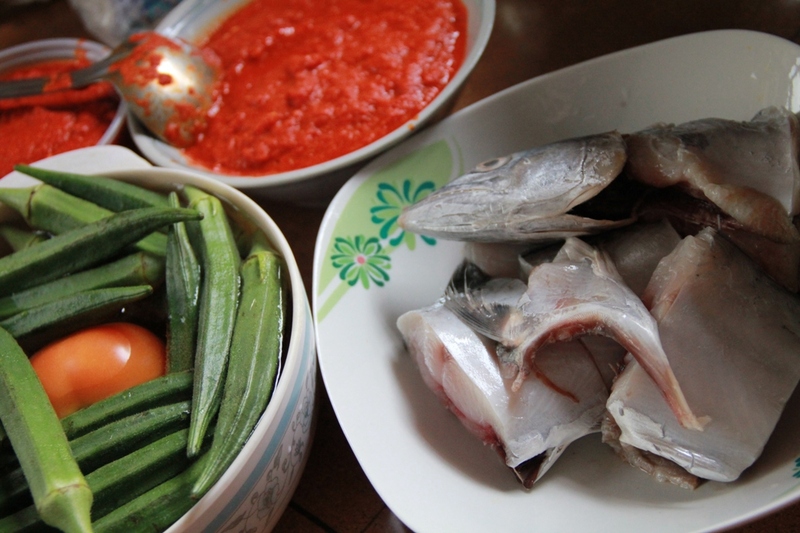 clockwise from top; blended ingredient A, fish(ikan tenggiri), ladies finger & tomatoes. Heat up wok with oil, fry the blended “ingredient A” till fragrant. Add in some belacan and tamarind juice (depends on your preferable sourness). Allow it to boil while adding in the ladies finger and tomatoes. 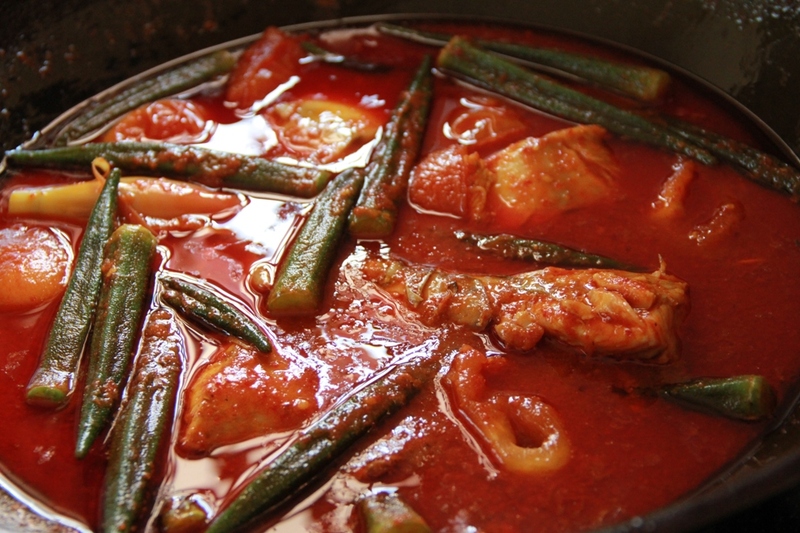 Then add in fish, bunga kantan and a lil of seasoning(salt & sugar) as the final step and cook it till its ready to serve.